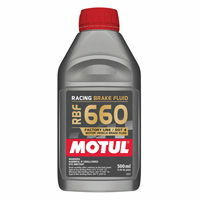 Get a FREE 400ml can of Motul 'Brake Clean' when you buy a full set of Front & Rear Brembo Pads for your Bike at HPS! *UK mainland orders only, not available for overseas orders due to aerosol shipping regulations. The latest Sintered SC (or SX where unavailable) Fast Road and Track Compound from the biggest name in Braking! - Exhaustively road and track tested by the HPS team - they're the perfect choice for road and fast track use and by far our favourite all round pad! "For me, the best pads I have used to date, tried the likes of EBC etc. Each time I take my Superduke for an MOT, the MOT tester comments that the front brake on my Superduke is one of the most powerful he has ever tested." 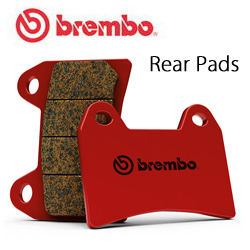 "Brembo SC pads are brilliant!! Great feel and initial bite." New pads working very strongly, have great feel and inspire confidence! Please call us here at HPS if you need further specific guidance as we will be very happy to help ensure you choose the right pads for your needs and we'll give you a 14-day money back guarantee if you've taken our advice and don't find these are the best pads you've ever used! 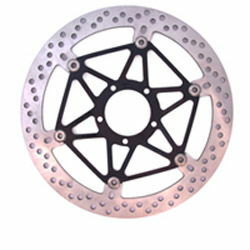 !quote, braking, brakepads, bremob, superduke, super moto, 690sm, 950sm, 990sm, 990smt, 990smr, 1290r, superduke, sdr, smr, smc, sxc, mc, mx, mr, 1987, 1992, 1993, 1994, 1995, 1996, 1997, 1998, 1999, 2000, 2001, 2002, 2003, 2004, 2005, 2006, 2007, 2008, 2009, 2010, 2011, 2012, 2013, 2014, 2015, 2016, 2017, 2018, 2019, 2020, 92, 93, 94, 95, 96, 97, 98, 99, 00, 01, 02, 03, 04, 05, 06, 07, 08, 09, 10, 11, 12, 13, 14, 15, 16, 17, 18, 19, 20! I have heard great things about your company on the forums and am happy that the claims are true. The latest Sintered SA Road Compound (or SD where applicable) from the biggest name in Braking! !braking, brakepads, bremob, superduke, super moto, 1992, 1993, 1994, 1995, 1996, 1997, 1998, 1999, 2000, 2001, 2002, 2003, 2004, 2005, 2006, 2007, 2008, 2009, 2010, 2011, 2012, 2013, 2014, 2015, 2016, 2017, 2018, 2019, 2020, 2021, 92, 93, 94, 95, 96, 97, 98, 99, 00, 01, 02, 03, 04, 05, 06, 07, 08, 09, 10, 11, 12, 13, 14, 15, 16, 17, 18, 19, 20! This is a true racing pad, suitable for any kind of competition on track from the leading name in Race Braking! !braking, brakepads, bremob, superduke, super moto, 2005, 2006, 2007, 2008, 2009, 2010, 2011, 2012, 2013, 2014, 2015, 2016, 2017, 2018, 2019, 2020, 05, 06, 07, 08, 09, 10, 11, 12, 13, 14, 15, 16, 17, 18, 19, 20! 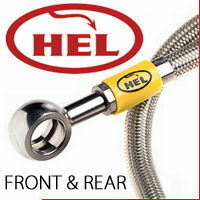 This is a rear compound which has a high friction coefficient that is stable in all operating conditions hot or cold, wet or dry for superior durability and better mileage. !braking, brakepads, bremob, superduke, super, duke, moto, 1989, 1990, 1991, 1992, 1993, 1994, 1995, 1996, 1997, 1998, 1999, 2000, 2001, 2002, 2003, 2004, 2005, 2006, 2007, 2008, 2009, 2010, 2011, 2012, 2013, 2014, 2015, 2016, 2017, 2018, 2019, 2020, 89, 90, 91, 92, 93, 94, 95, 96, 97, 98, 99, 00, 01, 02, 03, 04, 05, 06, 07, 08, 09, 10, 11, 12, 13, 14, 15, 16, 17, 18, 19, 20! Brake and clutch pad residue. Engine dismantling, levers, axes of brake, clutch mechanisms and shock absorbers, chain stops and adjusters, felloes, oil, grease, tar residue. Grand Prix and Superbike teams also use Motul Brake CLEANER to swifty remove, rubber and tar residue on the fairing. Dissolves oil, grease and tar. Leaves no marks. No need to rub. Evaporates very quickly leaving no marks.